Brandnew Songs! 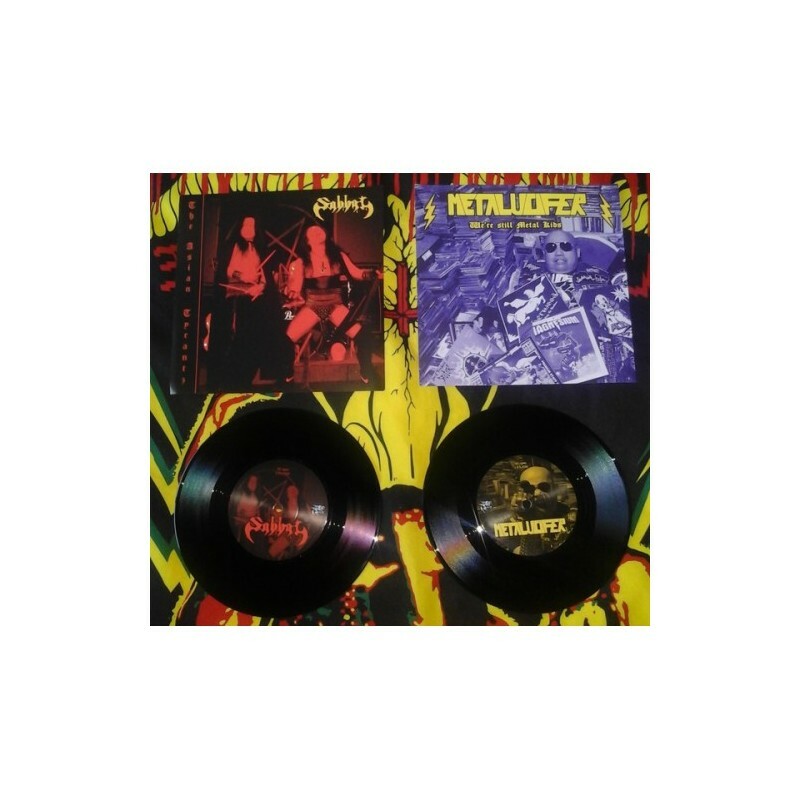 A Split of Japan’s most legendary bands. 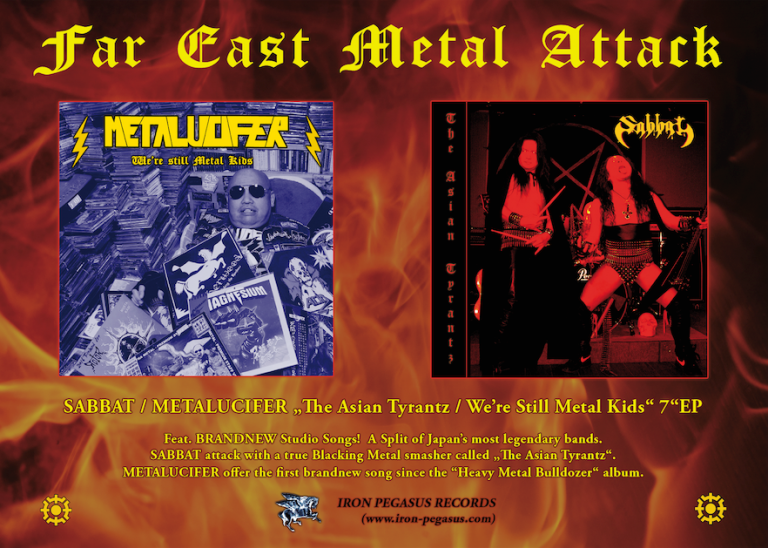 SABBAT attack with a true Blacking Metal smasher called „The Asian Tyrantz“ and METALUCIFER offer the first brandnew song since the “Heavy Metal Bulldozer“ album, a song about keeping the flame of your Metal youth alive.